The new Crystal Lace decorative hardware collection creates a dazzling look that exudes a stunning sense of style. The intricate filigree designs are available in premium Satin Nickel finish with blue, black, or clear accents. Multiple finishes available. Installs easily with included hardware and is a noticeable change for any cabinetry. 3 Faceted Acrylic Insert Pull , 1 per package The Crystal Lace 3 in. Satin Nickel Pull with Clear Faceted Acrylic Insert adds a dazzling look to your cabinetry. 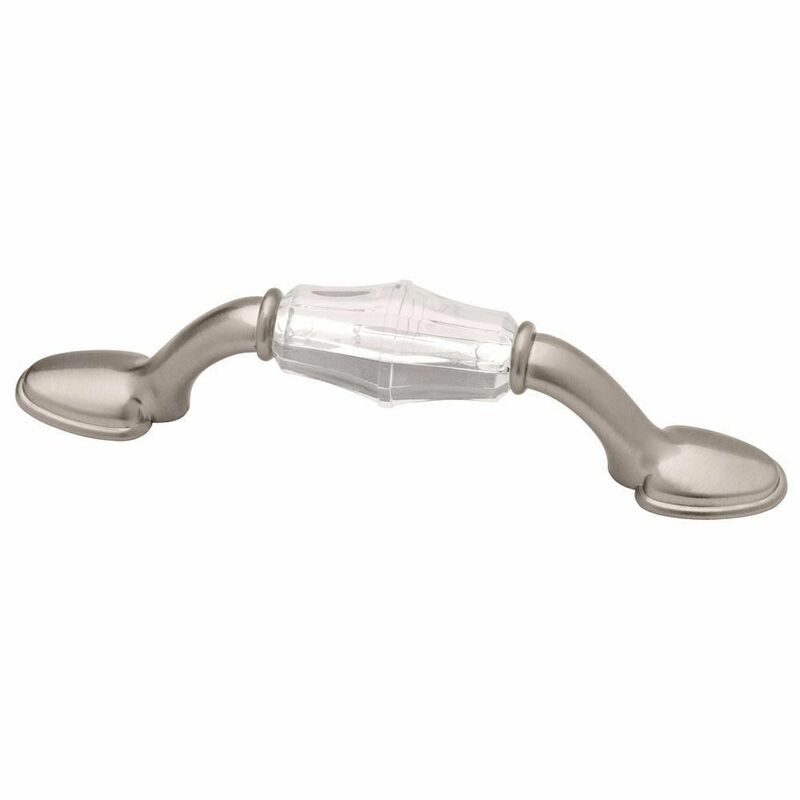 The pull installs easily with the included mounting hardware. 3 in. Center-to-center installation. Ideal for use as an accent for kitchen or bathroom cabinetry or furniture. 3 Faceted Acrylic Insert Pull , 1 per package is rated 4.5 out of 5 by 11. Rated 5 out of 5 by RLT from Love them. Love them. Rated 4 out of 5 by HomeDepotCustomer from Easy to assemble- just as pictured.... Easy to assemble- just as pictured. Rated 5 out of 5 by KiKi60 from We love them! They look great in our kitchen! We’be had several compliments on them! We love them! They look great in our kitchen! We’be had several compliments on them! Rated 1 out of 5 by Disappointed123 from Neither bolt length included fits any piece of furniture. All... Neither bolt length included fits any piece of furniture. All the knobs are loose. Rated 5 out of 5 by Blondie from The cabinet pulls were easy to install since they came with two screw sizes. They change the who... The cabinet pulls were easy to install since they came with two screw sizes. They change the whole outlook of my cabinets and look much more expensive than they were. I have gotten so many compliments on them already. Rated 5 out of 5 by josie2039 from excellent choice These drawer/cabinet handles were the perfect go together for the crystal knobs I also purchased for my kitchen cabinets,adds a touch of class!